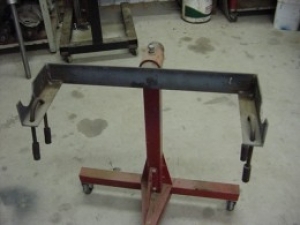 Homemade rear axle engine stand attachment. Axle is secured via U-bolts. This is really clever to use an engine stand as a starting point.